I recently wrote about my experience with seeing Turbonomic as part of Tech Field Day 14. Despite the fact that it is almost a month later, I still find myself thinking about their product. Specifically, how it can result in real-dollar savings in a lot of environments. A lot of tools can give you ROI calculations, or other “soft” savings. Turbonomic, on the other hand, is able to give you a solid, real-world dollar figure, based on your own environment. One presentation that didn’t make it into the live broadcast at the time was the introduction of a new 5.9 feature: AWS, Azure, and SoftLayer cost calculations. Before I even begin to discuss the feature, one thing that immediately drew my attention was the fact that AWS, Azure, and SoftLayer feature sets are being released at the same time. AWS is the big boy at the moment, while Azure and SoftLayer are definitely players in the market. I’ve noticed a trend with a lot of vendors to introduce support for one platform first and then a second down the line. I believe Turbonomic recognized that a lot of organizations use multiple cloud providers. Kudos to them for integrating multiple providers right off the hop. WHAT DO THESE COST CONTROLS DO? If you aren’t familiar with Turbonomic, their product can whip your environment into a “desired state”. Put simply, this is the state where you get maximum efficiency from your infrastructure (applications, hardware, etc.). By getting to this state, you can save money by not overprovisioning (power and cooling aren’t free after all). With the strong movement to the cloud, this can cause a real wrinkle in your plans. Turbonomic is already capable of making recommendations to move workloads to the cloud, however knowing the cost is a challenge. 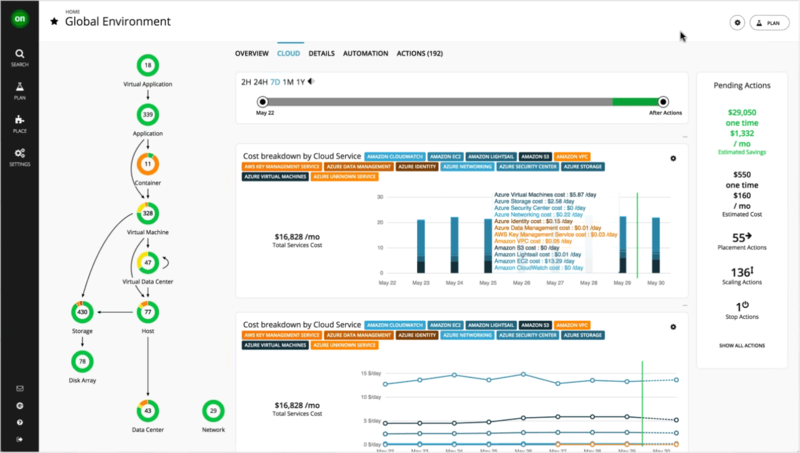 Turbonomic will show you a breakdown by service for your cloud provider. With the release of Turbonomic 5.9, a new cost calculations engine is available. 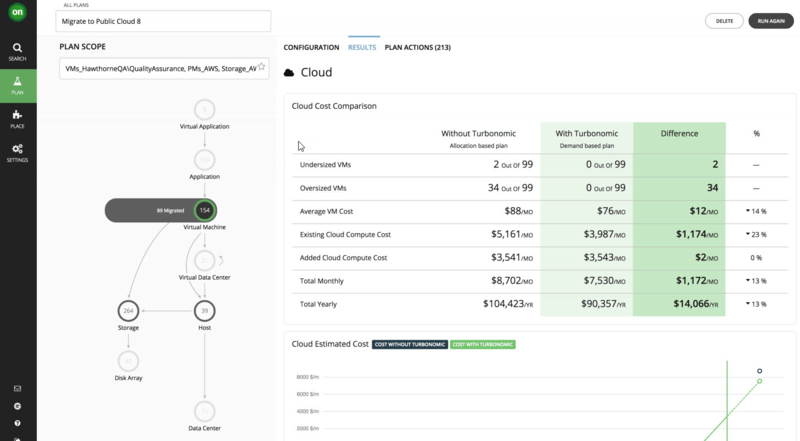 This engine allows you to take into consideration what the cost is to consume those cloud resources. The real slick part: costs come from your provider account details. If you receive a discount of %X from AWS due to volume, Turbonomic will use those values and not just the publicly available values. Even cooler, you can see a breakdown of costs by service (e.g. KMS, IAM, S3, etc.). With all of this information available, another great feature was introduced: planning for migrating to public cloud. Say you identify an application that is ripe for moving to the public cloud. You can select which provider (e.g. Azure or AWS) you would like to use or both. At this point, Turbonomic figures out which services you need, such as authentication, as well as infrastructure requirements, such as virtual machines. Calculating the cost differences between on and off premises. Using existing usage metrics as a base, calculations will then show what the cost will be to move to the cloud. Costs such as compute time, storage, and data transfer are all taken into account. Once the calculations are performed, you will get a breakdown of the migration plan, including line items for things like which instances, in which zone will be used. Part of the assessment also includes considerations for resizing resources. For example, maybe you can get by with smaller database servers, and one larger web server instead of multiple smaller web servers. The icing on the cake is that you will also receive a list of on-premises resources which you can shut down. There is still a lot more to this release that I haven’t touched on. Prior to TFD14, I didn’t really get “what made them special”. But after sitting through these briefings and seeing where they are going, I have to say that I like it, a lot. The operations side of me can see a lot of value. I can have a tool not only proactively monitor my environment, but manage it as well. The IT Manager in me looks at the literal dollar figures that this can save an organization. Along with that comes the benefits of a well-refined infrastructure, all without needing to increase headcount. If nothing else, this release makes me wonder what version 6 will have in store. If you are looking for further information, you can check out the official Turbonomic 5.9 press release.